I have in my hand my very red card. For the first time, in 52 years of life, I have formally joined a political party – the Labour party. It was an act of desperation, if you must know. It’s not as if I’m much of a joiner of any kind. I don’t like standing in crowds and shouting things. I’m political, but solitary in my habits and, while I’ve always had an affinity for the left of the political spectrum, there are figures on the right who I’ve admired. I think, like most people, I’m attracted to honesty more than anything, and I am less concerned with what party they align themselves with than I am with their personal integrity as humans. I suspect the reason I never joined a political party before had something to do with motivation. Possibly also, I felt the power dynamics of the democratic process were ticking over with enough basic sanity that they didn’t need me. More recently, I was simply so thoroughly unimpressed with the integrity of the politicians from all sides, I didn’t want anything to do with any of them. In the last decade, though, I have noticed that certain ideological and economic concepts have become so entrenched and unquestioned among large segments of the population, they have taken on the frightening quality of immutable truths, while having no basis in fact – quantitively or historically. I’ve also noticed that this wholesale acceptance of those myths is of tremendous benefit to a small segment of the population: the top 10% of wealth holders. The most pernicious of these is that taxing the wealthy at a high rate slows economic growth. Between the 50s and early 80s of the 20th Century, the top 10% were paying vastly more taxes on both income and capital accumulation than they are paying now. Banks and other financial institutions were heavily regulated. This coincided with rampant economic, technological and population growth in Western liberal democracies.There was massive investment in infrastructure. It also coincided with the period of greatest upward mobility of the working class into the middle class. It also coincided with a tremendous rise in the numbers of people getting a college or university education. But more than all those things, it was a time of believing that creating a humane society was a worthy goal. It coincided with effective civil rights achievements and the establishment of durable socialized medicine in many countries. The idea that any child should go to school or to bed hungry was generally considered an anathema – a stain on that society. It’s all very well to distain the Keynesian economic model, but the fact is – it worked. It maintained a relatively free market while regulating it enough to mitigate the inevitable negative aspects of natural human self-interest and greed. I’m not suggesting that we live in a world where we can do the same trick again. Globalization is an undeniable reality and it means that old economic models simply don’t work in predictable ways. In the last decade, Japan’s long and persistent economic stagnation is proof of the fact that Keynesian strategies don’t work. But, as the recent 2008 crash shows, neither does deregulation and ‘unfettered’ market capitalism. It doesn’t matter how many rosy employment numbers the Tory government in the UK shoves at us; there are jobs and then there are real jobs with liveable wages and they aren’t the same thing. The middle class is shrinking at an incredible rate. People who find themselves in poverty now will, unless things change radically, be in poverty for the rest of their lives and their children will too. There comes a tipping point in the accumulation and concentration of capital at which things start to get ugly very fast. We are at a point now where so much capital is being held in the hands of so few that power – real power, political power, economic power – begins to split realities. I realize this sounds vaguely science fictional, but when the wealthy of your country can simply purchase themselves a reality apart from the majority of your citizens, you have a serious social crisis on your hands. And it’s here. So it’s not surprising we are going through a very ideologically conservative period. It’s an ideology that suits the top 10% very well. It perpetuates and entrenches their position. And they will, of course, support with funding any political body that will guarantee its continuance. And consequently even political parties that were once known for their more egalitarian approaches to power have moved to the right. Obama’s style of democrat and Labour’s style of New Labour have literally nothing to do with the left. They are simply moderate conservatives. They are not immune from the influences and aspirations of the top 10%. They are just marginally less influenced than the UK Conservatives and the U.S. Republicans. Mainstream Labour says that a vote for Jeremy Corbyn is a vote for the Tories in the next election. That may be true, but in the meantime, it means a number of things. First, it means that for the first time in over a decade there will be a truly robust opposition to the Conservative party in power. It means that at the PMs question time, Cameron will have to answer to someone who can actually challenge the underlying logic of his policies, not just the details or degrees of his austerity plans. Second, it means that the press will have to report those clashes, and alternative modes of thinking about economics will need to be reported and discussed in the public sphere. Third, it means that five years from now the electorate will have a wider vocabulary with which to discuss their options. It will no longer be confined to a debate about how much we allow the upper 10% to dominate the landscape but whether we allow them to continue to do so. Fourth, it means that discussing what’s best for society as a whole – what is in the common good – will no longer be a quaint, faintly embarrassing eccentricity. I’m not in agreement with all Jeremy Corbyn’s ideas. Some I feel are valid, but some ignore the realities of a global economy. I do think is that he is fundamentally honest about what he believes. I’m not sure that Corbyn is the right person to head a Labour government in power. But that is not what we are facing for the next five years. What I know for sure is that none of the other candidates have the mental equipment to offer the kind of foundationally challenging opposition to the present government or the ideological capacity to broaden a debate about what kind of society we want. These days a lot can happen in five years. 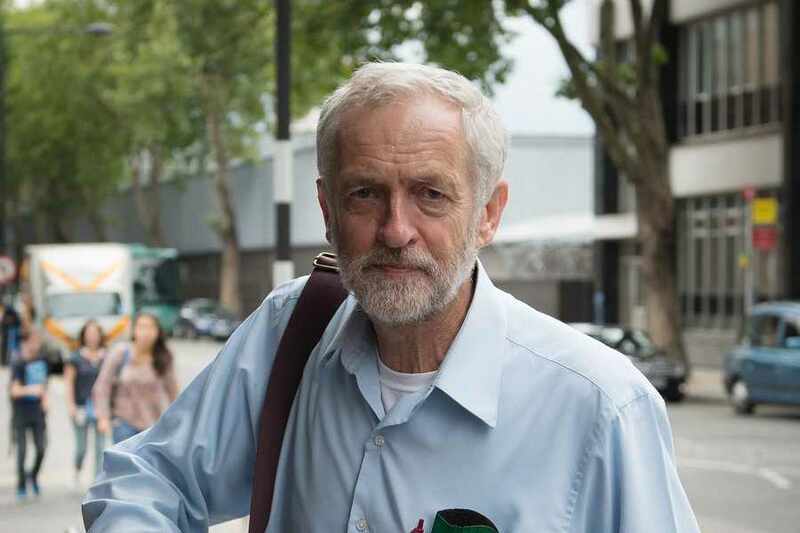 Corbyn is, in my view, the perfect person to broaden that debate. He has enough distance from entrenched sites of power and ideological education to be familiar with the structure of alternate socio-economic possibilities. Right now, we don’t need someone who knows how to be a slightly less greedy, vaguely kinder capitalist; we need someone who knows that capitalism isn’t the only way of ordering the universe. Not because we’re going to do away with it, but because having the two poles there in the public sphere for discussion, we are afforded a wider set of choices along the spectrum. I want the next generation to have more possibilities and greater opportunities that the present one and, what I know for a certainty is that won’t be possibly unless we destabilise the broadly held myths of trickle-down economics and the efficacy of the kind of selective ‘austerity’ to which many supposedly ‘liberal’ governments now adhere. So, I’m voting for Jeremy Corbyn. I hope you will to. Jeremy Corbyn is a bit of a paradox. Many people don’t see him as having Prime Ministerial qualities, whatever they might be; but at the same time approve of many of his ideas. The renationalisation of GB railways, cancelling the vanity project that is HS2, getting rid of Trident (replacement) all go down well. Not so sure about abandoning the enlargement of Heathrow or Gatwick. And I’m not sure if PMQs is anyway useful. It’s more of a shouting match now rather than a question and answer session. Cameron simply trots out stock, generic replies to any question from the opposition, making the whole thing rather meaningless. I doubt if Corbyn as leader will fare better; he might ask hard questions, but won’t get answers; he, Corbyn, could give the answers at media interviews. And as for changing the narrative, that the crash was caused by Labour’s overspending, that austerity is the only response, I think this nonsense is now so ingrained that it has become ‘truth’. As for reversing the 1% by taxation, a more equal society, there are just too many vested interests.